Group classes offer the perfect balance between strength and conditioning. Reap the greatest benefits to make you BETTER, FASTER, STRONGER. You'll get the energy of a group setting, but everyone is encouraged to participate at their unique level. Through varying workouts you'll get a comprehensive, multi-disciplinary approach to fitness. This may help you develop the following: cardio endurance, stamina, strength, flexibility, power, speed, coordination, agility, and balance. View R Studio Boise class schedule. Elevate provides group classes a mix of cardio and strength training. Specifically the ultimate high-intensity interval class. 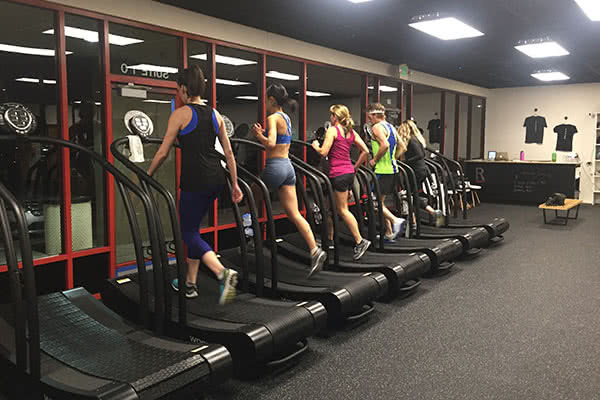 High performance WoodWay Curves works on running efficiency and speed, and a variety of strength training equipment is incorporated to balance out your workout. Develop a strong core with suspension training, tone muscles with Kettlebells and resistance bands, and increase agility using your own body weight. Boise's premiere KettleBell training method. Group classes that consists of whole-body movement exercises. 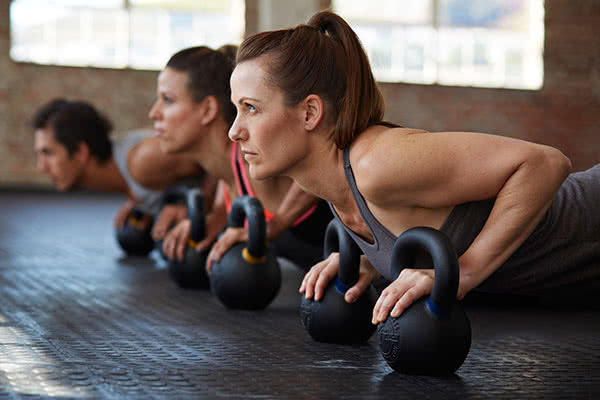 KettleBells are one of the most efficient tools for full body workouts. Delivering cardio, strength, and flexibility benefits in a short amount of time. In addition Functional Training can be beneficial for anyone no matter the level of fitness. The treadmill re-invented. Unlike anything offered anywhere. Think cycle group classes but on a treadmill. Interval workouts or interval runs, are short, intense efforts followed by equal or slightly longer recovery time. Also our coaches can help develop a custom training program for 5K to marathon races. This intense, efficient workout is the whole package. 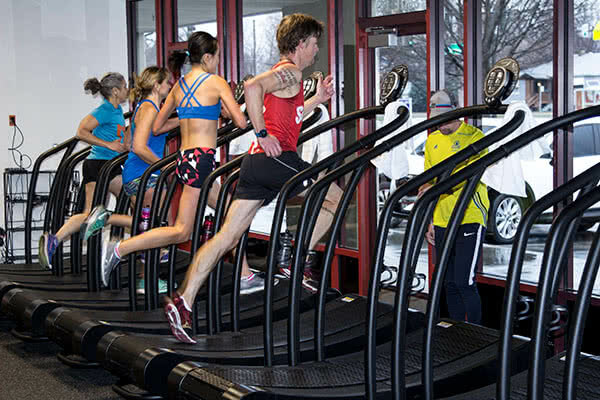 Work on your running speed and form by sprinting on our human-powered WoodWay treadmills. Then add in a mix of strength and toning exercises during your “rest” periods. The entire workout is based on perceived exertion, allowing participants of all fitness abilities to achieve the results they’re working for. Yoga helps athletes develop flexibility and learn to connect mind, body and breath. This class guides runners to use yoga for muscle recruitment to promote efficient running form. Class includes a yoga warm-up for muscle recruitment, approximately 20 minutes of form-focused running on WoodWay Curves, and concludes with yoga for flexibility. Open access to our WoodWay Curve Treadmills, Kettle Bells, Resistance bands, and functional training tools. This is not a class, but we have posted track workouts and strength workouts available if you need some guidance. Feel free to ask a staff member for suggested workouts! R Studio is the place everything becomes possible, where transformation happens, where you run faster, get stronger, and become a better version of yourself.